Jump right into Kingswoood Oxford's many clubs and activities! All students participate in Kingswood Oxford’s many faculty-mentored clubs and activities which keep things interesting and lively on campus! Beyond that, Kingswood Oxford's clubs and activities teach leadership and problem-solving skills, as well as enhance our already-strong sense of community service and participation. Have an idea for a club that's not already established? Go for it! There's always a way to make our community even more vibrant. — Natalie Kotkin ’07, Yale University graduate; Business Analyst for McKinsey & Co.
epic: epic is Kingswood Oxford’s arts and literary magazine, created entirely by students. Not only do they submit art, photography, poetry, and prose for publication, but students serve as editors, as well as plan, organize, produce, and market each edition. The epic team also hosts an annual Coffee House, an evening of music, readings, and food for Kingswood Oxford students. Forensic Union: Kingswood Oxford’s debate and public speaking team is popular with students. Each year approximately 70 students attend weekly meetings and prepare to compete in local, national, and international debates — including the World Debate Championships. Just this past year, two students made it to Worlds. Very impressive! A member of the Debating Association of New England Independent Schools, Kingswood Oxford competes in 14 debates or tournaments per year, and hosts its own each February. Model UN: Participating in Model U.N. provides students with a forum to apply the academic content and skills they have learned in the classroom, to hone their public speaking and debate skills, to meet other intellectually motivated students from around the world, and to learn from world-renowned experts. Students submit an essay to apply for a spot on the Kingswood Oxford team. Team members meet once a week to prepare for the Model UN Conference at Yale University, where they’ve won top award for 14 consecutive years! Robotics: Robotics at Kingswood Oxford is both curricular and co-curricular. The latter, the Robotics Team, meets daily after school during the fall and winter sports season to design, build, and program a robot. The team enters the robot in a FIRST (For Inspiration and Recognition of Science and Technology) robotics competition. Students can fulfill their athletic requirement with Robotics. 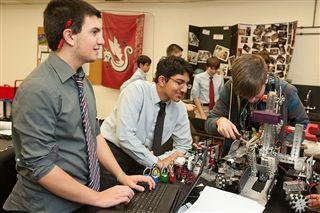 The Upper School offers a one-semester Engineering and Robotics course that covers topics in mechanical design, electricity, and computer science. KO News: As the campus newspaper, KO News serves as a forum for news and open expression. Under the guidance of a faculty leader, students write, edit, and lay out each issue. Click here to see the latest online version of the paper. List of 33 frequently asked questions. Description: Learn more about technology while working towards creating and building computers. Description: To expose the KO community to American Sign Language and teach people words, songs, and more! Description:The goal is to take a minute every so often to raise awareness about mental health, and also issues and illnesses related to mental health. Also, to get rid of the stigma associated with mental health illnesses. Description: Students come together to learn about, build and fly RC drone aircrafts in a safe manner. Description: Have fun learning about different cultures through this very popular style of dance! Description:The mission of KO Car Club is to bring together students and faculty with a passion for any type of cars, to discuss the future of the automotive industry, and to collaborate with a variety of on-campus organizations to utilize the wide reach of the car community beyond KO to raise funds and awareness for worthwhile causes by organizing charity car shows. Description: The objective of this club is to provide a time and space for students who are interested in chess, of any experience level, to play and to improve. Description:To bring the joy of dungeons and dragons into the KO community by inspiring students to play and run DND at school during free time, which will encourage students to think on their feet, express themselves, and work together. 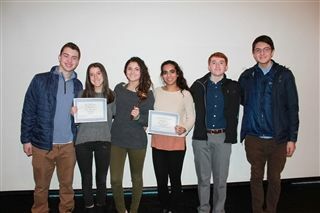 Description:The goal of The KO Community Outreach Club is to foster connections between KO students and the Greater Hartford community through community service and outreach. This club aims to make community service more personable and enjoyable by helping local charities and nonprofits in the Hartford area and to encourage students to get involved in our community. Description: To provide the opportunity for US students to creatively express themselves through writing, live performance, visual art, and artistic experimentation. Description: The Forensic Union serves to foster a love of speaking and debate, and to encourage mindfulness and self-advocacy through effective communication and logical thinking. Description: The goal of this club is to create and foster conversation revolving around protecting our Earth and to take action on both local and global levels. Description: Our mission is to discuss and raise awareness surrounding issues that affect the LGBTQ community, as well as to educate the KO community about matters that involve gender and sexuality. Description: The mission of this club is to help people within our school community and spread happiness around our community. Our other objective is the give back to both our school community and the community around us by helping those in need through “Love Bombs” or random acts of kindness and selflessness. Description: The goal of this club is to teach and expose members to the stock market. Through monitoring our stock portfolio, giving suggestions on trades and new purchases, members will be exposed to the nuances of trading and maintaining a diversified portfolio. Description:The purpose of this club is to learn Italian culture in a fun and exciting manner. The club will be a place where students will host fundraising activities like an Italian-themed Bake Sale and Bocce Tournament to learn more about Italian culture. Description: To host various Latin and Roman mythology/Roman history related activities by sharing the classics with current Latin students while encouraging more students within the KO community to join us. Description:To develop leadership skills by focusing on KO’s core values in a student-led discussion of empathy, perspective, communication and confidence. The main goal is to keep it student-focused and student-run and to produce something concrete, likely videos discussing leadership ideas and activities that could be used as resources for the whole community and other leadership groups. Description:To introduce students how fun math can actually be, and to offer resources and study sessions for students preparing for AMC 10 & 12. Description:The mission of our club is to inspire the entire school to model empathy. 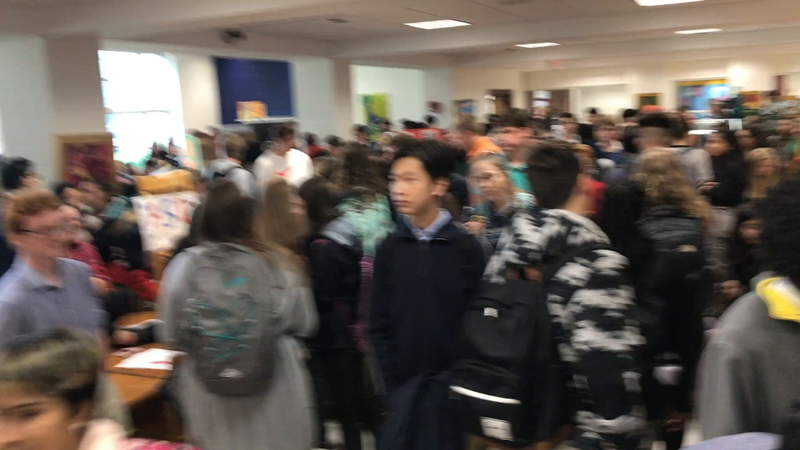 Description: Mission is to help and provide service to students at MD Fox School while using these interactions as a means of learning about the lives of others as well as ourselves. Description: To educate students about political events and structure of the UN and its sub committees through simulation during Model UN conferences. Description: To educate the community about issues pertaining to women’s rights and equality and to provide a space for female-identifying community members to discuss and provide solutions for challenges they face on campus. Description: Our mission is to make people more aware of addiction and to raise money to support the nonprofit organization Shatterproof as they are trying to end the stigma of addiction and end addiction. It is also a major issue in our world today especially with teenagers and young adults, but addiction does not only affect the ones using it also hurts their loved ones and communities. Description: The mission of this club is to collect clothing for people in our community who have trouble getting the necessary clothes and donating them to Tara’s Closet, a nonprofit organization that helps spread awareness about mental illness. Description:The mission of this club is to organize small and/or big fundraisers throughout the year to raise money for the charity Thirst Project. At the end of the semesters, we will send the money to Thirst Project which will help bring fresh clean water to those in need. Description: To increase the opportunities for the youth in Tobati Paraguay and to offer KO students an opportunity to learn with and from students in Paraguay while making a global impact. Description: The mission of this club is to have a place for people to learn a new a new instrument and relax during the day and sing and play the ukulele. We want people to be able to learn ukulele and be able to play some songs and chords. facilitate student activism. It is an opportunity to make sure all perspectives are heard, listened to and considered even if it is the only perspective expressed in the room. It is okay to not know, not agree or not understand in the Brave Space as long as we are all open to listening and learning. Description: Increase students' general awareness of STEM education at KO and provide more alternatives to students who want to join the school robotics team but can't give up their sport commitments. Description: The mission and goal for our club are to enhance school spirit and support our fellow classmates. We want people to come to athletic games to root on their schoolmates and to represent their passion for the school by wearing school apparel and school colors. Description: The mission of this club is to prepare for the CT Regional High School Science Bowl in March. The goal is to have fun and enjoy answering science questions.